MANILA, Philippines (AP) — The Philippines’ most active volcano has spewed fountains of lava and massive ash plumes overnight after authorities warned a violent eruption may be imminent. The lava fountains reached up to 700 meters (2,300 feet) above Mount Mayon’s crater and ash plumes rose up to 3 kilometers (1.9 miles) from Monday night to before daybreak Tuesday. An explosive eruption Monday was the most powerful since the volcano started acting up more than a week ago. Disaster officials in Albay province, where Mayon lies, say more than 30,000 people are staying in evacuation centers. 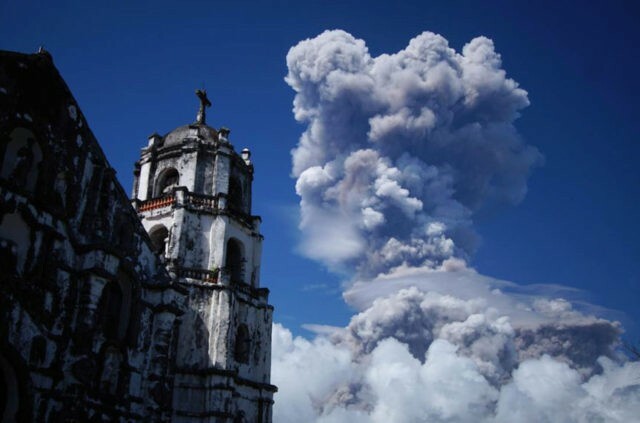 Officials raised Mayon’s alert level to four on a scale of five, meaning a violent eruption is possible within hours or days. The danger zone expanded to 8 kilometers (5 miles) from the crater, affecting thousands more residents.